Last Tuesday, April 2nd, I attended the Alpine Co. Board of Supervisors meeting here in Markleeville and one of the presenters was Dan McElhinney, CalTrans’ Acting Director for District 10. Among other things, Dan brought us up to speed on CalTrans’ plans to clear snow from three (3) major Sierra passes: Monitor, Ebbett’s and Sonora. They are planning on starting on Monitor next week and expect that it will take about 10-14 days to clear the many feet of snow that have accumulated. They’ll begin work on Ebbett’s and Sonora soon thereafter, or perhaps simultaneously, depending on resources. Apparently there is about 20′ of snow, with the associated ice that comes with months of freezing temperatures, on Ebbett’s and so, of the three (3), it will likely take the longest. Kinney Reservoir (near the top of Ebbett’s Pass) during last year’s Deathride. Looking southwest from the Markleeville Airport. CalTrans assured the Board, and the public in attendance, that it will work VERY HARD to have all three (3) passes cleared by Memorial Day. Mr. McElhinney, and Clinton Neeley, the Maintenance Supervisor for District 10 (he’s based in Woodfords and was also at the meeting), both understand the importance of the work that needs to be done. With fishing season fast approaching, and the Deathride coming in July, clearing these passes, and clearing them ASAP, is vital. Monitor Pass, as the Board Chairman, David Griffith reminded us, is especially important since it is a vital connection between Hwy. 395 and Hwy. 89 – when it’s open, travelers can take the shorter route into Markleeville and then into Tahoe. When it’s closed our little town becomes a cul-de-sac and since much of our income is derived from tourism, that impacts our local businesses. Here at California Alps Cycling, we’ve developed a nice relationship with Clinton and his crew; we work closely with them on our Adopt-a-Highway program. We’re so appreciative of the tough, sometimes dangerous work that they do. I personally make sure to tell them that whenever I see the crews working on roads I’m riding and I always salute them when I see their trucks or plows passing by. So, when you see the crews out there, please let them know how much you appreciate the work they do. If it wasn’t for them, we wouldn’t be able to kick those passes’ asses! One of my Strava friends recently asked on one of my posted rides if the gates for Monitor and Ebbett’s Pass were open. That question made me realize I hadn’t posted an update on the local road conditions lately. So, here’s one! Diamond Valley – Snow on the sides of the roads but no ice on the roads themselves. Lots of “snow plow dirt” and other detritis on the shoulders though. Wolf Creek Road itself is gated/closed. Crystal Springs – Easy going on Hwy. 88 with only the plow detritus on the shoulders. No ice on Crystal Springs Road. Monitor Pass is closed for the winter. The gates at Hwy. 395 and at Hwy. 4/89 are closed. Ebbett’s Pass is closed for the winter. The gate at the Hwy. 4/89 junction is open, and the sign nearby reads the road is closed seven (7) miles ahead (Raymond Meadow Creek), HOWEVER, the road is actually closed 2.5 miles from the junction (at Wolf Creek Road). It’s likely that the gate will be closed at the junction at some point in the near future though, as more snow is forecast for this weekend. Looking east, towards Carson Valley, on Hwy. 88 from Crystal Springs Road. Looking west on Hwy. 88 from Crystal Springs Road. Melting snow and ice on the Hwy 4 turnout just north of the bridge over the East Carson. Melting snow causing run-off on the Hwy 4 bridge over the East Carson. Boulders and rocks perched on the hillside on Hwy 4 – about 2 miles from the Hwy 89/Hwy 4 junction. Looking north on Hwy 4 – about 2 miles from the Hwy 89/Hwy 4 junction. Looking north on Hwy 89 – about 3 miles from Woodfords. Looking south on Hwy 89 – about 3 miles from Woodfords. Looking east from the gate at Wolf Creek Road on Hwy 4. Looking south towards Ebbett’s Pass from the gate at Wolf Creek Road on Hwy 4. Sam (could be Samuel or Samantha) the bald eagle (as we’ve named it) posing for a pic near the Hwy. 4 and Hwy. 89 junction. Have a great Friday and a wonderful weekend! More snow is on the way so please remember to ride safe and let’s kick some passes’ asses! 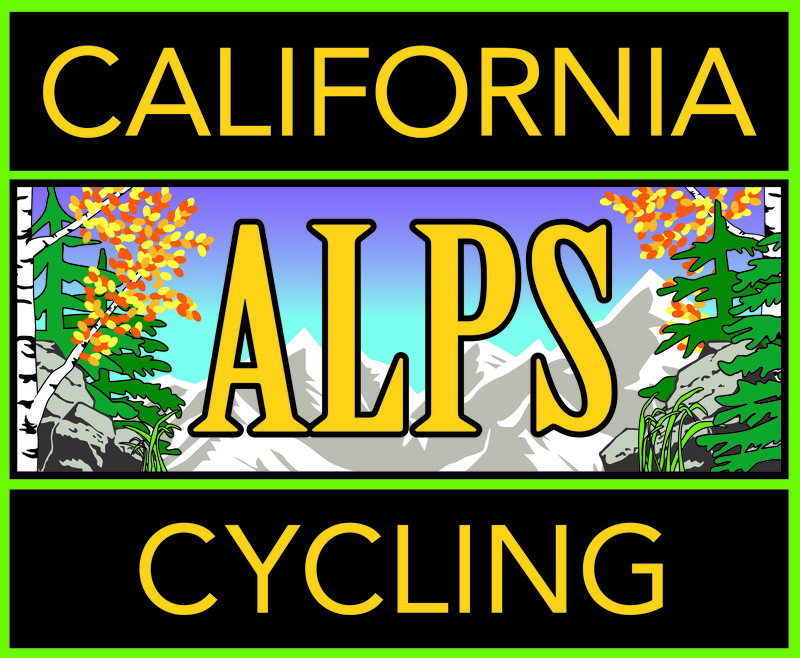 The information and content on this page, as well as any other California Alps Cycling (CAC) page or materials, is general in nature and must be used with an understanding of your capabilities and expertise. Please be sure that any trails, roads, hikes etc. that you use are suited to your skill set as CAC is not responsible for any injuries to you, your companions or your equipment. Additionally, while we strive to provide accurate, timely and complete information, it is subject to change and therefore CAC is not responsible for the accuracy thereof. I’ll try not to whine too much as I write this post. After all, I get to live and work in the heart of the California Alps. Still, the winter can be tough up here in terms of cycling. The roads, even though most are plowed, have a tendency to ice up a bit (or more than a bit), especially after a decent snow, and that can make things a bit difficult on any bike, let alone a road bike. A crisp, cool and icy Diamond Valley afternoon. Over the last several weeks it’s been so icy most of the time that riding outside was not really safe. Thankfully, there are options. For example, a bluetooth trainer helps lessen the boredom and makes a virtual ride more engaging. I use a CycleOps Magnus with Zwift. The trainer syncs with Zwift and so as the grade increases on the screen, the resistence increases on the trainer. It’s not climbing per se but it certainly feels more realistic than mashing a bigger gear to simulate a climb. With this set up I can spin at a high cadence when I climb in the house just like I would when I’m on the road. Last weekend, I took another step forward. I mounted a flat screen in my workout room and hooked it up to an old Apple TV. I did have one problem, though: the Zwift app. was kinda janky and running it with the Apple TV remote was problematic. So, I went with Airplay instead. That actually turned out to be a better set up. I put my laptop on a tripod (you can get a special tray on online to attach to any tripod), placed it by my side, opposite the stool I have for my water bottle, phone, towel, etc. and man, it felt like Mission Control! And that larger screen (46″) made for a much more immersive experience than what I had used previously – just the Mac in front of me on that tripod. Since the beginning of the month I’ve put in about 214 miles, with 172 of those on Zwift. I cast my mind back to the winter of ’16-17 when I rode 600 miles during one period, all indoors! Yeah, I here ya! I need to find something else to do perhaps. A bit of snowshoeing maybe? Time to learn how to ski? How about a hike? Yup, I need to do some of that too. I do have a sweet little gym set up (little being the operative word) so I can do some core work, keep the upper body strong and work on those hammies and glutes a bit too. But, I agree, some other outdoor activities are warranted. Snow and ice behind the gate at Hwy. 4 and Wolf Creek Road. It was a great day, made even more special by the fact that I was outside. Yet another perk of riding inside: the rides outside are just a bit more enjoyable. If you’d like to do a bit of winter riding in one of the most beautiful places in the world, come on up, the weather’s fine…for now. Snow on the sides of the road but not on it! Made all that much sweeter by that bright, shiny orb in the sky. Thank you all for joining. We look forward to our upcoming adventures together! We’ve adopted a stretch of Highway 89 (from Camp Markleeville to Turtle Rock)! As part of our mission, we help the communities in which we live, work and ride and so are very pleased to be able to help keep our local roads clean. We’ll be out doing a bit of litter pick-up later this week. Stay tuned for an after-action report. The weather here has been pretty crazy lately with a daily dose of thunderstorms. You can pretty much set your clock by them as they’ve been starting about 2:00 p.m. Yesterday’s storm dumped over a 1/2 an inch in just a few minutes with our weather station showing a rain rate at that time of about 3.84 inches per hour! Be sure to check out our Weather Conditions page regularly for real-time updates. Jerseys, bibs and shorts will soon be arriving! Our new windvest will supplement your cycling wardrobe nicely, we think. Lastly, the road conditions, photo gallery and video pages have been updated. Take a look! We wish you a wonderful week of cycling, mountain biking, hiking or just hanging out. Whatever floats your boat, eh? Be safe out there! We’ve begun posting updates to our Road Conditions page. Click here for the latest info. Yesterday I took a walk from town to Camp Markleeville and back and thought I’d pick up some litter along the way. Thankfully, the road conditions “litter-wise” were nothing like the image below! A large Taco Bell cup. Basically, nothing that a cyclist would drop (either intentionally, or not). So all in all not too bad (especially compared to Bay Area roads) but I was especially impressed with my fellow cyclists. No cycling related garbage at all! Well done cyclists and thank you for keeping the area clean of debris. You rock!